A senior partner and co-founder of Kasznar Leonardos Intellectual Property, Elisabeth Kasznar Fekete is frequently ranked among the top IP professionals by legal guides. 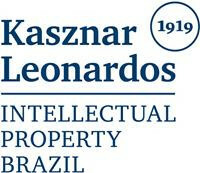 Author of Brazil’s leading treatise on trade secrets, Ms Kasznar Fekete has more than 35 years’ experience in intellectual property, covering both litigation and counselling in the areas of trademarks, anti-counterfeiting, unfair competition, copyright, IP contracts, innovation law and trade secrets. She excels in the strategic planning of IP-related litigation and in the establishment of anti-counterfeiting programmes. Ms Kasznar Fekete is a permanent council member and arbiter of the Arbitration Board of the Brazilian Intellectual Property Association (ABPI) and former president of both ABPI and the International Association for the Protection of Intellectual Property Brazilian Group from 2014 to 2015. Ms Kasznar Fekete is a member of the International Trademark Association board of directors, the Global Advisory Council and the Adjunct Professor Interest Group. She is a senior editor and co-chair of the Article Solicitation and Development Subcommittee of the Trademark Reporter Committee. She is a member of the Inter-American Association of Intellectual Property, the Brazilian Association of Industrial Property Agents and the Sao Paulo Association of Intellectual Property. 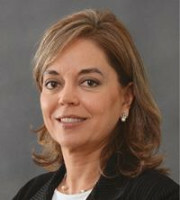 Ms Kasznar Fekete is a lecturer, examiner and professor of master’s and doctoral theses and a coordinator of IP courses. She has a law degree with honours from the State University of Rio de Janeiro (1981) and a doctorate in commercial law from the University of Sao Paulo (1999). In 1984 Ms Kasznar Fekete was a guest research fellow at the Max Planck Institute, Germany. She speaks Portuguese, English, French, German, Spanish, Hungarian and Italian.